Health care can be a big expense, especially if you have kids. If you’re like me you are always looking for ways to save money on health care expenses, here are some suggestions to help you cut your health care costs. When you have to visit a specialist, usually your doctor is the one that suggested the specialist. The same thing applies to special treatments. Ask your doctor to help you find reasonably priced specialists when you need them. Also ask your doctor if there are alternative treatments that don’t cost as much as what the doctor is suggesting. 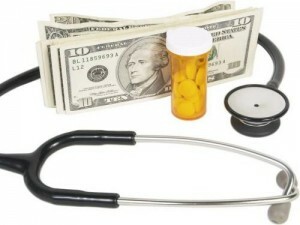 It will help you save money on health costs. There is usually more than one medical professional that does the work you need. Don’t just pick the first person you find in the directory. Instead go to three or four professionals so you can have some options. If the first one you find won’t give you prices beforehand, just keep looking until you can find someone who will give you prices and save money on health costs. You won’t know what’s out there unless you ask. You won’t know if you really need this test or that procedure unless you ask your physician. Remember, doctors are human beings. They are not infallible. Just because they have come up with an idea for your treatment doesn’t necessarily mean that the treatment they picked is the best one. You’ll never know if you don’t ask. Do some digging to see if you have community clinics in your area. If you are low-income, you may qualify for discounted services at certain clinics. Also you can get save a lot of money if you use the minute clinics at certain CVS or Walgreens stores. If you have group insurance be sure you only use “in network” service providers. You will incur higher fees if you use doctors that are not on the list of approved providers. Check this before you go to a new doctor. It will help you save money on those health costs. A lot of times generic drugs do the same things that name brand drugs do. Unless you have a medical reason for using brand name drugs, try to use generic drugs as often as possible. Always ask your doctor to be sure to give the pharmacist the option of using generic drugs. This will save you a lot of money. A lot of times you can eliminate the need for expensive surgeries and treatments by focusing on things that will prevent disease. You can start by maintaining a healthy weight. You can also do things like quitting smoking and eating healthy. You can also be sure to exercise regularly. Cutting down on the stress in your life will also help you stay healthy. Also be sure to get all necessary checkups at the recommended times. These checkups are often designed to help catch bigger problems before they become big problems. Health care expenses can eat into a family’s budget rather quickly. It is important to discuss any drastic health care changes with a trained medical professional. Hopefully this article has given you some ideas to work with when you are trying to save money on health care costs. that is such a great list! We are really lucky to have a non-profit clinic within a 20 minute drive, where they base how much you pay on your income. Since the Husband is a full time college student and we are living off his Military GI Bill month to month, it is a Huge benefit that they take our income into consideration and adjust our bill accordingly. They also offer discounted prescriptions, and what they don’t carry, the Drs will always prescribe the generic form to help you save money. I love my Dr. there as he is very conscious of trying to save us money but still give us the best care we need. Great tips, so many people take their health for granted and don’t do simple things to stay healthy! As someone that doesn’t have health insurance, these are great tips for if I happen to get sick, thanks!